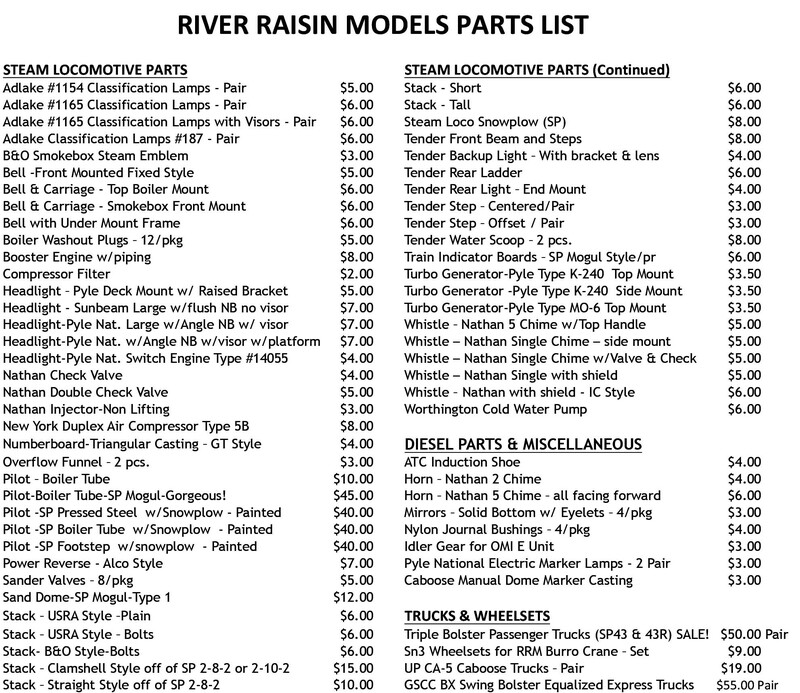 Listed below are the detail parts we currently have available. If you are interested in ordering, contact us by phone, emaill or regular mail. Our contact information is listed below. Phone messages may be left anytime. All prices in US Dollars. Please include $6.00 for shipping on all orders unless otherwise noted. Michigan residents add 6% sales tax. All major credit cards accepted.